Mystery CT Slice 3 – double trouble! | What's In John's Freezer? 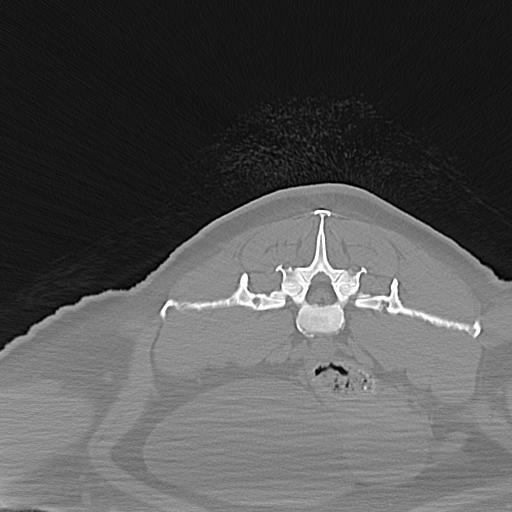 Mystery CT Slice 3 – double trouble! John, 2 mystery pictures!?!?! That’s not fair! We’ll be up for weeks puzzling over these! Is there a connection between these images; a clue or two; or am I just messing with you and they have nothing to do with one another? Take a gander. Take your best shot. Or take a hike! Tell me as much as you can about the top (Mystery A) and/or bottom (Mystery B) images. Difficulty level: Integrative Anatomist. EDIT: OK it is answer time! This one did turn out to be as challenging as I’d hoped, but there are clues that link the 2 images as being from 1 animal of a very peculiar cranial and axial (vertebral) morphology. That much may already give away the answer. And Filippo nailed it early on, with the wild swing at a guess- no hike for you, Filippo! First, in A, top, you can just barely make out the xenarthrous articulations of the vertebrae. Nice stiffening structures that may be related to the evolution of digging behaviour early in that group’s history. So this feature pegs it as a xenarthran mammal. The fur towards the top of A also helps. And there are hints of size that suggest it is not a small animal (although be careful w/that on this blog; I do use micro-CT scanners sometimes!). Now, a lot of people focused on the conchae (scroll-like nasal bones) in B, but the clincher, as some noted, is the narrow snout AND the big tongue (grey hazy area between the mandibles, bottom of the image). The small mandible, which is edentulous, bolsters this clue. 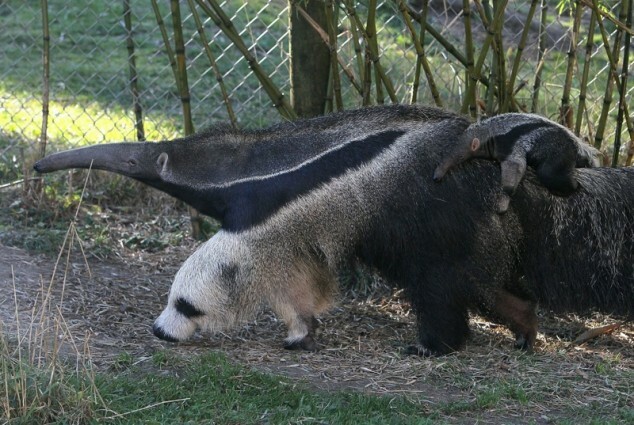 Giant Anteater it is, then! This one was CT scanned alive; a clinical patient from some years ago (you can see one of the little IV tubes at the bottom right of B). Wonderful, weird, amazing animals, those xenarthrans! Bravo, Filippo! Some other commenters were close to it too! Thanks for playing and come again! Man, looking at these long enough one starts to see all sorts of conflicting morphology. Lower one I’m thinking is a section through the snout at around the level of the middle nasal concha since the nasopharynx is so prominent, but what is going on there ventrally is bugging me. Wait, are those the pterygoid wings? Cheeky bugger. Making the lateral elements bits of the zygomatics. Species? Mammal, with narrow snout. That good enough? Top one just bothers me. Soft tissue looks like you are sectioning cranial liver, and the vertebra looks thoracic, sectioned through the disc, but the angle of what I interpret as ribs is wrong and the abdominal wall is all soft tissue, so we have to be further back. And the radio opacity dorsal of the neural spine…Gut it telling me its lumbosacral, with iliac crests coming in, and at that horizontal angle it would be more similar to large animals. Making the soft tissue descending colon and…I don’t bloody know. Cecum but its solid not hollow. Could be caudal rumen with the ventral caudal blind sac somewhat left dorsally displaced, similar to the crushing of the wall, but again it reads solid. Haha no zoom for you! A) lumbar (?) 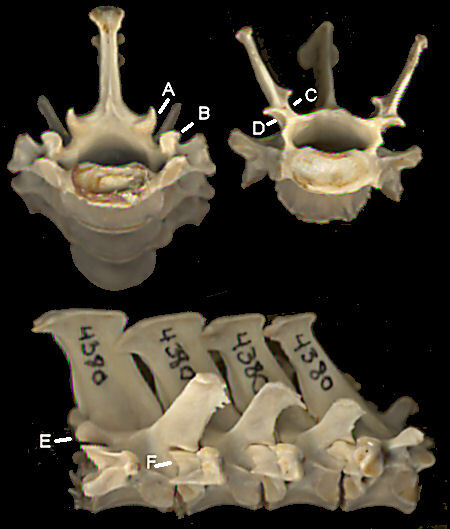 vertebra with visible zygapophises from neighboring vert and transverse processes. Liver? 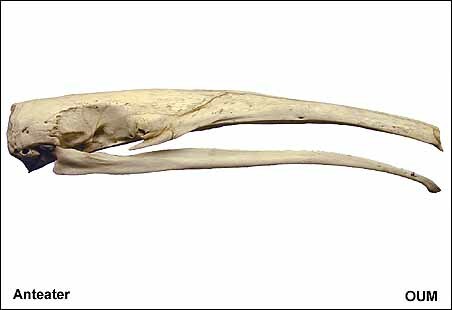 B: large size (relative to CT gantry); caudally-extended (no teeth visible), complex, densely packed turbinates; thick/dense facial bones with circular cross section; low slung zygomatics; short coronoid process, huge deep tongue, but not a vaulted palate= pinniped (i want to say walrus given the tongue, but we’re too far back in the palate to see if its vaulted or not?). lol i changed the angle of my monitor… I can see fur..polar bear! Northern Fur Seal? complex turbinate, low zygomatic arch, no teeth on this section of mandible, flattened body, large lateral transverse processes, lots of dorsal fur. Those are some wild nasal conchae, and no teeth in that plane. So, some animal with a high requirement for heat transfer, also with a diastema. The extra cross sections lateral to the mandible are bothering me: can’t tell if it’s a peculiar zygomatic arch or maxilla, or cross-section through a tooth. I’m going to add a new differential to the cool suggestions here so far and say wild boar. 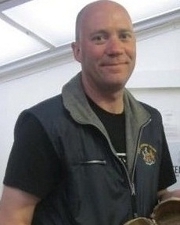 Answer to be posted tomorrow– guess now or be plagued by eternal regret! Also, I note there is a tube under the jaw of the skull. Maybe an IV line (for euthanasia?). Skull has lots of extra skin on lateral aspects. I was going to say elephant seal, but their zygomatic arch is much thicker and higher up. Very cool! I actually considered anteater when I was trying to think of a mammal with lots of fur on the back and no teeth, but didn’t think they had those crazy turbinates! on February 16, 2013 at 12:19 pm | Reply On the Sixth Day of Freezermas, this blog gave to thee… « What's In John's Freezer? on February 16, 2013 at 2:10 pm | Reply On the Sixth Day of Freezermas, this blog gave to thee… « What's In John's Freezer?